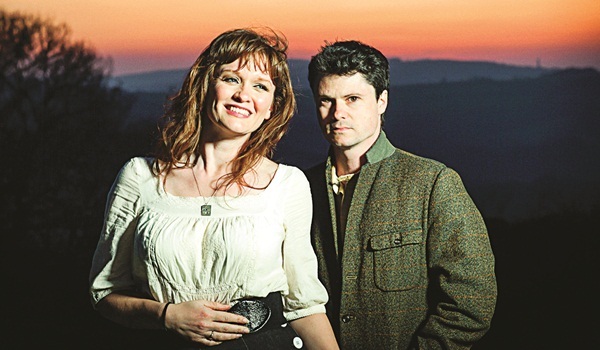 Kathryn Roberts and Sean Lakemana��s musical association started in the early a��90s. There werena��t many youngsters playing British folk music then, so the two would often run into each other during gigs. Their friendship took a a�?speciala�? turn during a musical tour to Portugal, where Lakeman and his two musician brothers were backing Robertsa�� performance. The two got married eventually, and have been a great team ever since, sweeping awards, while raising their twin girls, Poppy and Lily. The BBC Radio 2 Folk Awards is the latest trophy in their collection. One of the biggest names in British folk music, they will perform in the city this week. Their sound also extends to American folk, pop and rock, and makes use of the guitar, piano, flute and clarinet. They promise a memorable evening of numbers off their latest EP, Saved For A Rainy Day, a few covers, and songs highlighting lonely whales, and Russian mermaids. Roberts says, a�?The appeal of British folk music is in the story it tells. And we are always on the look out for interesting themes to write songs about. We live on the edge of Dartmoor National Park (in South Western England), where the Sherlock Holmes story The Hound of the Baskervilles is set. It is a wonderfully inspiring place. So we like to get out onto the moors in its beautiful enviorns, and get inspired.a�? When asked to take us through their songwriting process, she reveals that they have almost become a telepathic duo. a�?We have been making music together for 20 years now. We can follow each othersa�� cues, and ideas with ease. We are also very honest with each other so we dona��t end up wasting time on ideas that either of us doesna��t particularly like. Thata��s why we rarely have big creative differences. Ita��s all about compromise.a�? After their first India gig, Roberts will tour with her a��70s folk rock band Fotheringay, and Lakeman, an award-winning record producer, will work with some notable bands later this year.